Scientists have made a human value judgment that a theory that automatically reproduces observed phenomena is superior to a theory in which speeds, sizes, distances, and other parameters must be adjusted to reproduce the observed phenomena. Cosmological features should be explained as natural and inevitable consequences of theory, rather than merely arbitrary parameters revealed by observation. 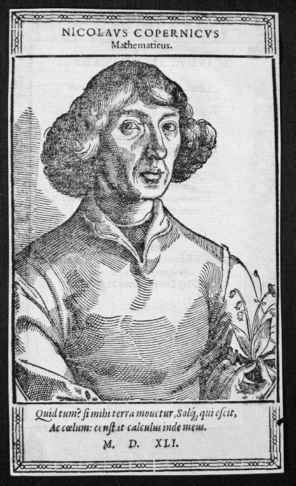 This philosophical preference guided Copernicus when he chose between rival theories that could not be separated by observations. The same philosophical principle provided guidance at the end of the twentieth century regarding the theory of the inflationary universe. Had the initial density of the universe differed from the "critical value" by as little as 1 part in 10 to the 60th power, all matter—including living beings—would long ago have been crushed beyond recognition in a big crunch or torn apart in the expansion of a big chill. The standard big bang theory does not automatically produce the critical density. In the inflationary theory, however, a brief burst of expansion drives the density, no matter what its initial value, almost exactly to the critical value. Hence this theory is preferred. This particular philosophical principle may be underdeveloped, or even missing, in ancient Greek thought. Greek thinkers, however, were neither blind nor deaf to linkages between human values and science. They realized that a sense of beauty could be evoked in a scientific theory. Plato regarded heaven itself and the bodies it contained as framed by the heavenly architect with the utmost beauty of which such works were susceptible. Ptolemy contemplated beautiful mathematical theories, which lifted him from Earth and placed him side by side with Zeus, where he took his fill of ambrosia, the food of the gods. Copernicus found admirable symmetry and harmony in this most beautiful temple, the universe. Modern scientists, too, have perceived beauty in theories. Hoping to explain all the laws of physics and all the forces of nature in a single equation, cosmologists at the end of the twentieth century toyed with string theory, in which the basic constituents of the universe are tiny wriggling strings rather than particles. There was no experimental evidence for string theory, nor any prediction of observations against which to test the theory. Nonetheless, string theory persisted, largely because its mathematics was too beautiful to die. The twentieth-century philosopher Bertrand Russell noted: "Mathematics, rightly viewed, possesses not only truth but supreme beauty—a beauty cold and austere, like that of sculpture, without appeal to any part of our weaker nature, sublimely pure, and capable of a stern perfection such as only the greatest art can show" (Russell, Philosophical Essays, no. 4, 73). Analogy to sculpture, and to shape, is not out of place in the context of Greek geometrical astronomy—infatuated, as it was, with the circle. According to the twentieth-century sculptor Henry Moore: "There are universal shapes to which everybody is subconsciously conditioned, and to which they can respond if their conscious control does not shut them off" (Moore, Henry Moore Writings and Conversations, 195). 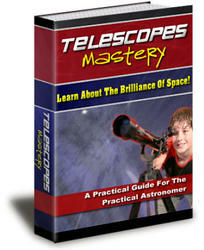 Modern scientists share an aesthetic sensitivity and appreciation with ancient Greek astronomers and with Copernicus. Continuation of a cultural value over centuries, even millennia, and over different civilizations is remarkable. No less remarkable would be genetic wiring of the human brain, shaping our requirements for an aesthetically satisfying understanding of nature. Such speculation is premature but does suggest further study of the nature of ancient and modern science, especially similarities between their human values and ways of thinking.